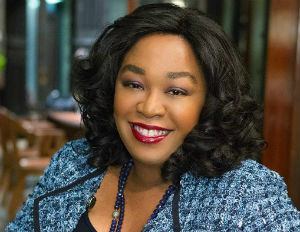 Shonda Rhimes is best known as the creator, head writer, and executive producer of three hit ABC television series: the political thriller “Scandal,” starring Kerry Washington as the infamous Olivia Pope, as well as the medical drama “Grey’s Anatomy” and its spin-off “Private Practice.” Coming to ABC this fall is her new show “How To Get Away With Murder,” a suspenseful law drama featuring another African American female as lead, Academy Award-nominated Viola Davis, who plays a law professor whose students solve murder plots. The show will air in the time slot precedingÂ “Scandal.”Â Rhimes recently inked a new eight-figure deal with her ABC home network. As fans wait feverishly for the new season to begin, here are 10 factoids about one of ABC’s top female showrunners and earners. Rhimes grew up in Illinois, the suburbs of Chicago, and graduated from Dartmouth. She earned a Master of Fine Arts from the University of Southern California’s School of Cinema-Television, having applied after reading it was harder to get into USC’s film school than Harvard Law School. Before becoming a screenwriter, Rhimes worked at a variety of day jobs, including as an office administrator and a counselor at a center that taught mentally ill and homeless people job skills. She wrote the acclaimed 1999 HBO movie “Introducing Dorothy Dandridge”Â starring Halle Berry. She has never won an Emmy but she did receive a Golden Globe, NAACP Image Award, GLAAD Media Award, and DGA Diversity Award. Rhimes’ 2010 television pilot “Inside The Box” about a DC network news bureau never got picked up by ABC. The name of Rhimes’ entertainment production company is ShondaLand. The 44-year-old single mother has three adopted daughters, Harper in June 2002, Emerson Pearl in 2012, and in 2013, she welcomed Beckett through surrogacy. A self-described spelling “bee nerd,â€ Rhimes will be live-blogging at the 2014 Scripps National Spelling as she has done for several years.